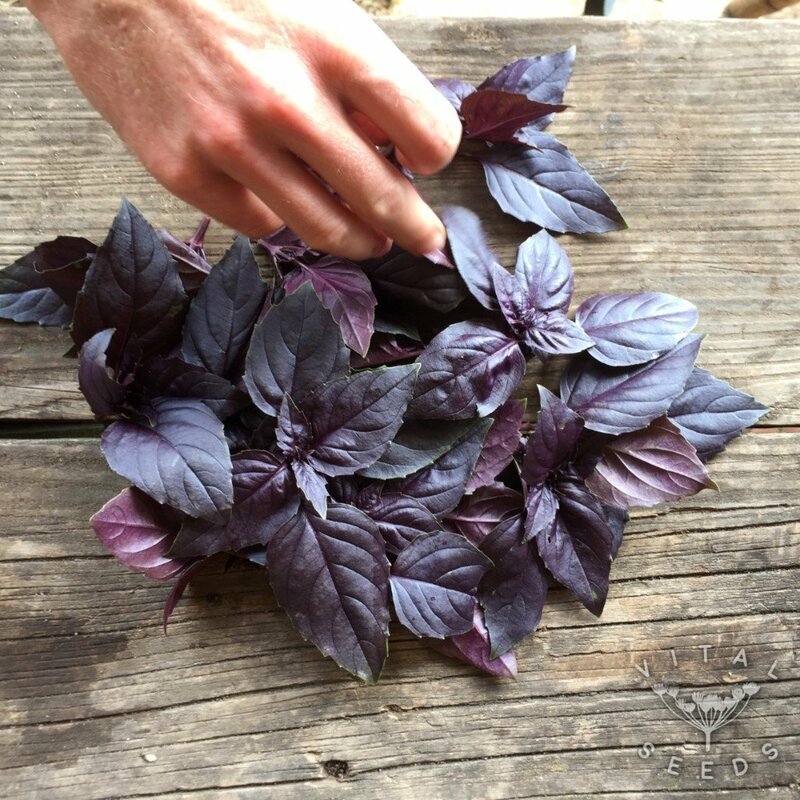 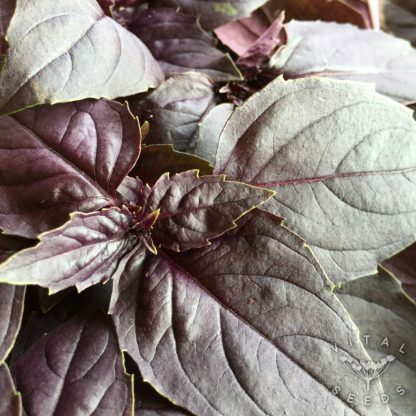 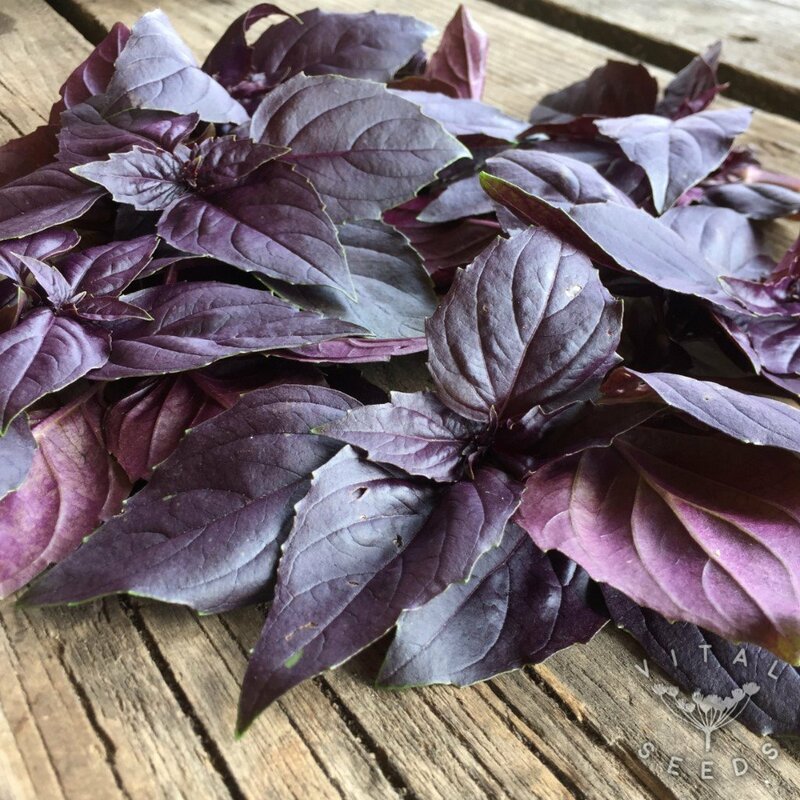 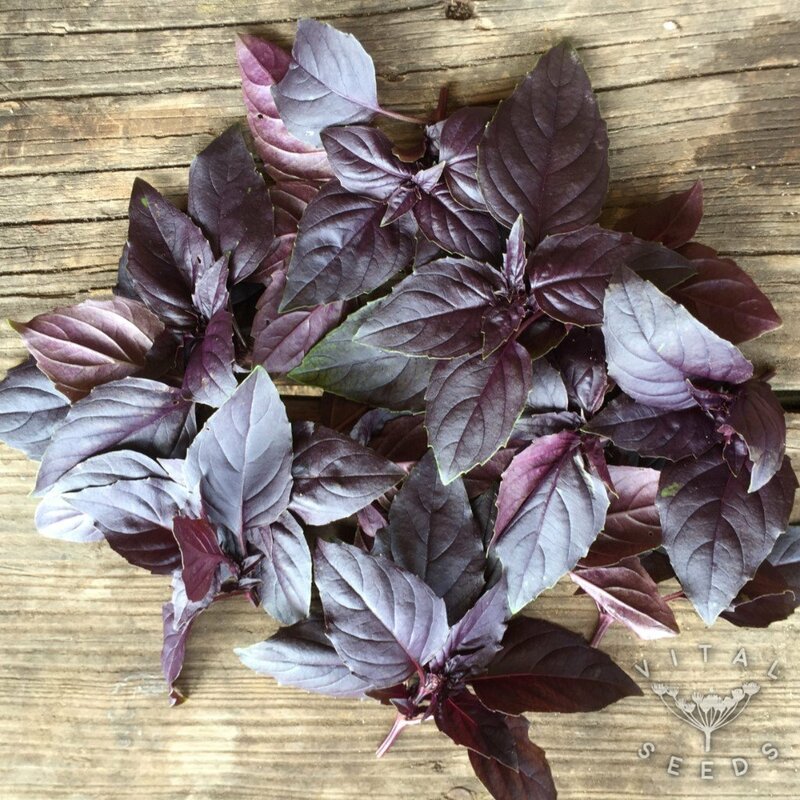 Beautiful deep red purple foliage with similar taste and properties to common green basil. Red basil has both ornamental and culinary uses. We use it as garnish or to add colour to salads, even made into it pesto works well; it will also always look great in your garden, not to forget the amazing sweet scent of goodness when you pass it.